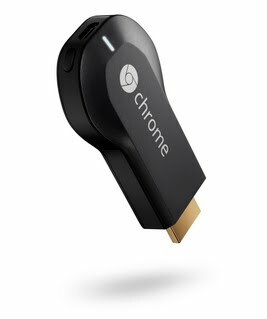 On Wednesday, July 24th Google launched the Chromecast. As soon as the source code hit we began our audit. Within a short period of time we had multiple items to look at for when our devices arrived. Then we received our Chromecasts the following day and were able to confirm that one of the bugs existed in the build Chromecast shipped with. From that point on we began building what you are now seeing as our public release package. Our Chromecast exploit package will modify the system to spawn a root shell on port 23. This will allow researchers to better investigate the environment as well as give developers a chance to build and test software on their Chromecasts. For the normal user this release will probably be of no use, for the rest of the community this is just the first step in opening up what has just been a mysterious stick up to this point. We hope that following this release the community will have the tools they need to improve on the shortfalls of this device and make better use of the hardware. We are not ruling out the ability for this to become a Google TV “stick”. Speaking of Google TV – if you are in Vegas for DEF CON 21, check out our talk – “Google TV: Or How I Learned to Stop Worrying and Exploit Secure Boot” this Friday August 2nd at 3PM in the Penn and Teller Theater! We’ve got secure boot exploits for the Google TV (unsigned kernels and roots anyone?) and more – don’t miss it! Lucky for us, Google was kind enough to GPL the bootloader source code for the device. So we can identify the exact flaw that allows us to boot the unsigned kernel. By holding down the single button, while powering the device, the Chromecast boots into USB boot mode. USB boot mode looks for a signed image at 0×1000 on the USB drive. When found, the image is passed to the internal crypto hardware to be verified, but after this process the return code is never checked! Therefore, we can execute any code at will. The example above shows the call made to verify the image, the value stored in ret is never actually verified to ensure that the call to “VerifyImage” succeeded. From that, we are able to execute our own kernel. Hilariously, this was harder to do than our initial analysis of exploitation suggested. This was due to the USB booted kernel needing extra modifications to allow us to modify /system as well as a few other tweaks. Mount the USB drive plugged in to the chromecast. Erase the /system partition (mtd3). Write the new custom system image. Note: /system is squashfs as opposed to normally seen EXT4/YAFFS2. The system image installed from our package is a copy of the original with a modified /bin/clear_crash_counter binary. This binary was modified to perform its original action as well as spawn a telnet server as root. After the above process, the only modification to the device is done to spawn a root shell. No update mitigations are performed which means that theoretically, an update could be pushed at any moment patching our exploit. Even with that knowledge, having an internal look at the device is priceless and we hope that the community will be able to leverage this bug in time.